Nightingale Removals and Storage is the number one trusted local removals firm in Weston-super-Mare and the South West offering professional moving services. Our expert team have a great deal of experience in the area and can provide the perfect service to meet your needs. With over 60 years of experience in the removal industry, we are confident that we can offer you the perfect removal service to meet your needs. We aim to make sure all of our customers have a moving day that is as stress free as possible. No matter what you are looking for, we can provide the perfect removal service to meet your requirements. We provide removal services for both personal and business needs so no removal is too big or too small for us. Whether you are looking to move home or relocate an entire office, we have the perfect solutions to meet your requests. Our expert removal team have experience in moving people throughout the UK and even internationally. But we understand that every move is individual and we treat each with the same high level of care and attention. Using our top quality services and professional expertise, we will ensure your move runs smoothly, whether it is to a new home or office premises. Nightingale Removals is a family run company with a well-established reputation; we have been offering only the very best in removals both nationally and internationally for generations. 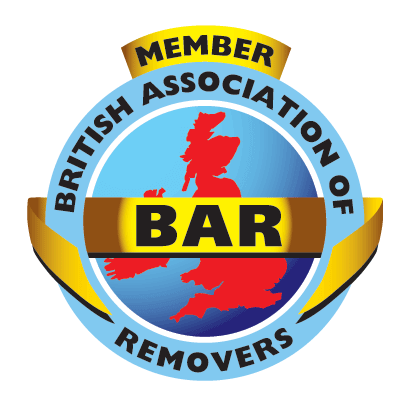 We are also a member of the British Association of Removers, so you can be sure of our quality service. Our expert team can provide advice to make sure that you get the best service possible when moving with Nightingale Removals. We aim to make every move as stress-free as possible so that you don’t have to worry about anything on removals day. Our tailored removals service is designed to meet your individual needs so we will not carry out any unnecessary tasks that could be avoided. If you are thinking of moving to, from or within Weston-super-Mare then make sure you get in touch with us today and see how we can help.